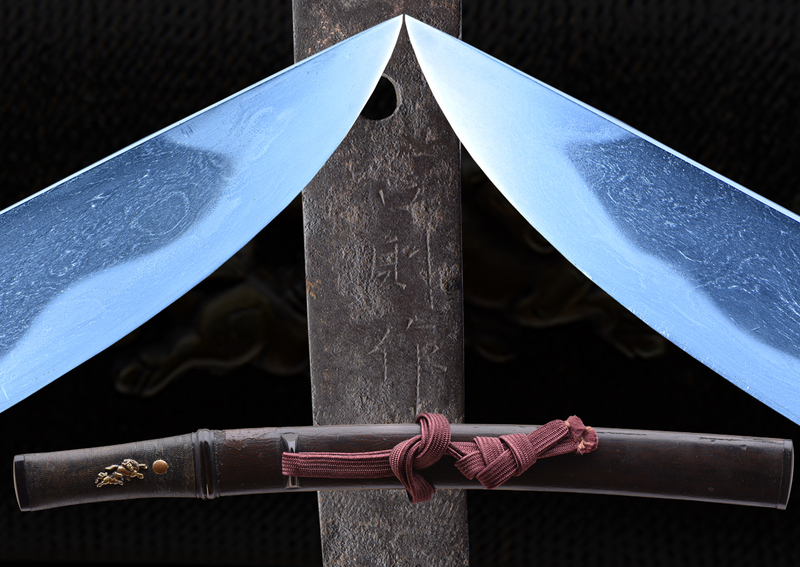 This blade is an ubu nakago (original nakago/tang that has not been cut or shortened). 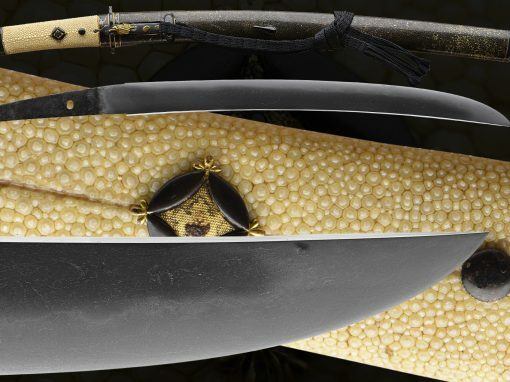 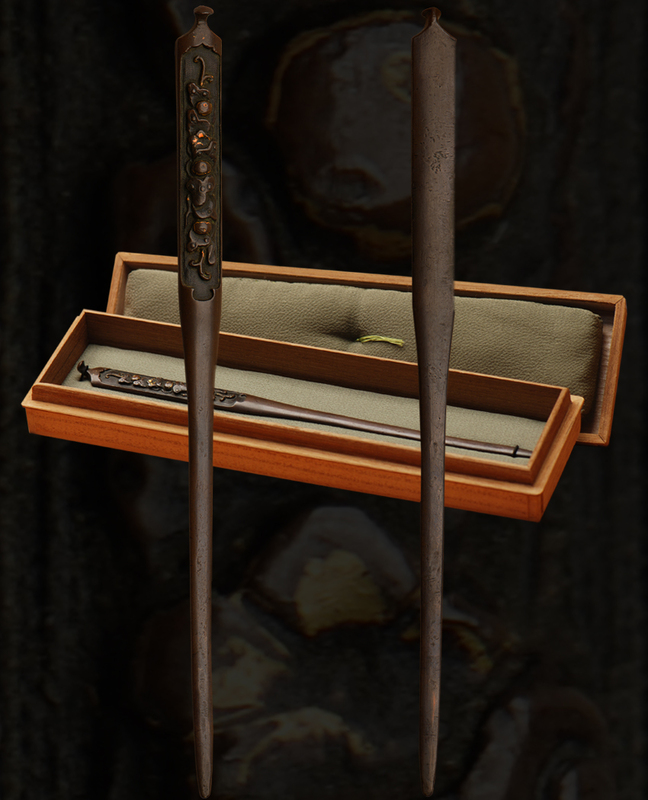 The blade shows some fine utsuri. 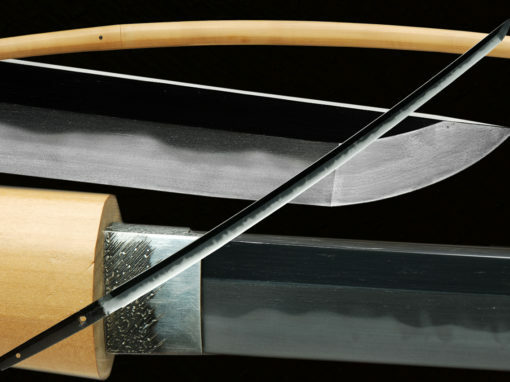 This is a graceful tanto with strong activity. 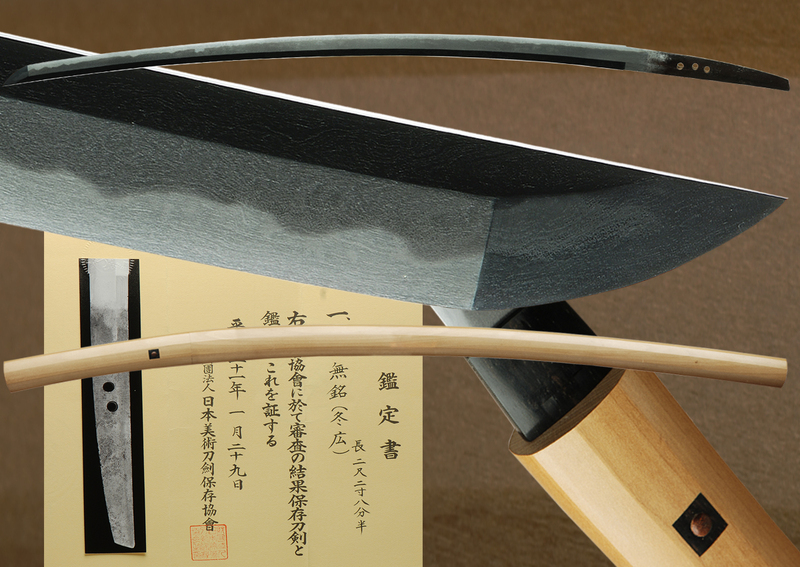 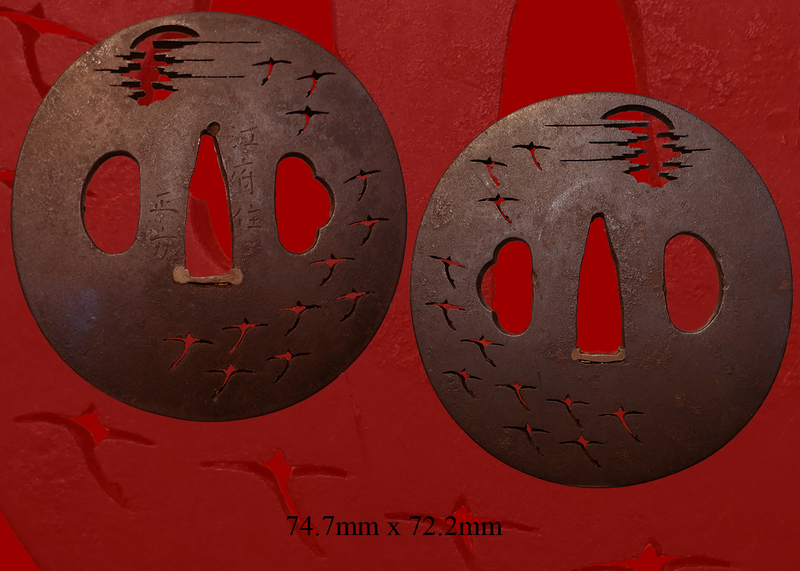 The jigane is especially attractive, and is a wonderful piece made by Yoshinori. 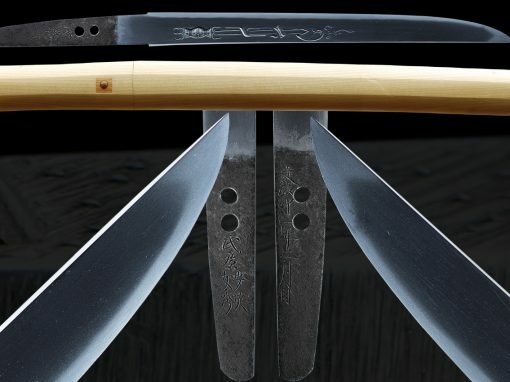 The koshirae is in the Aikuchi style with a Kami Hira Maki zuka style tsuka wrap. 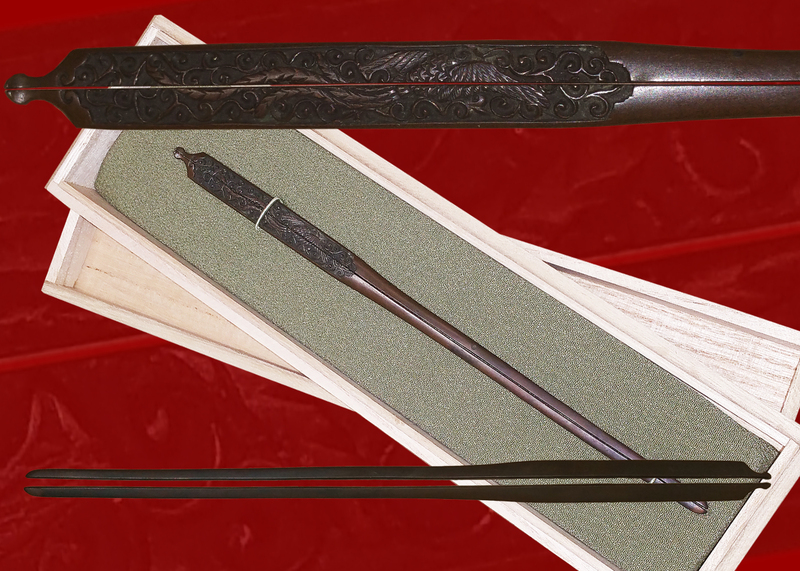 The saya is finished in a brown Ishime style lacquer. 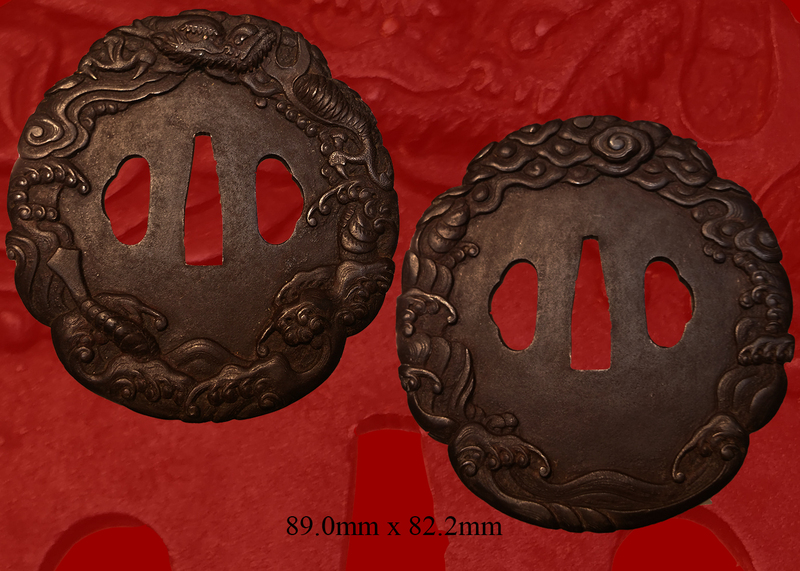 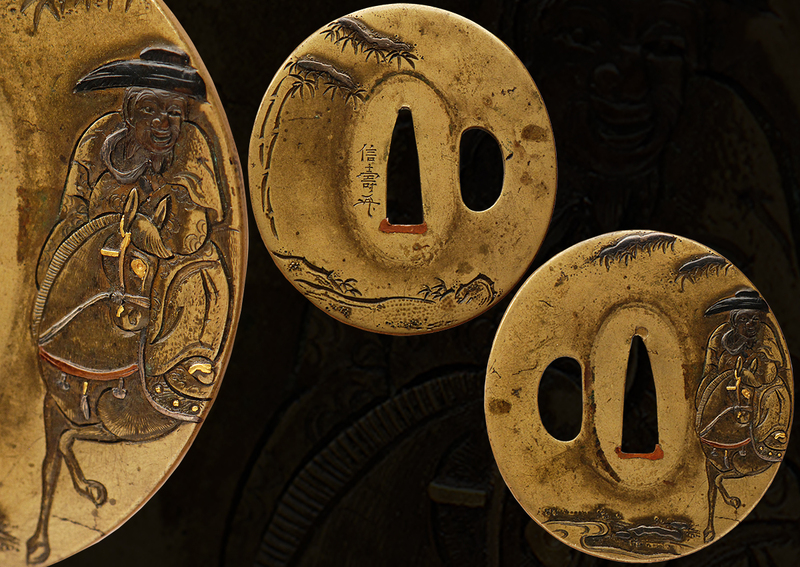 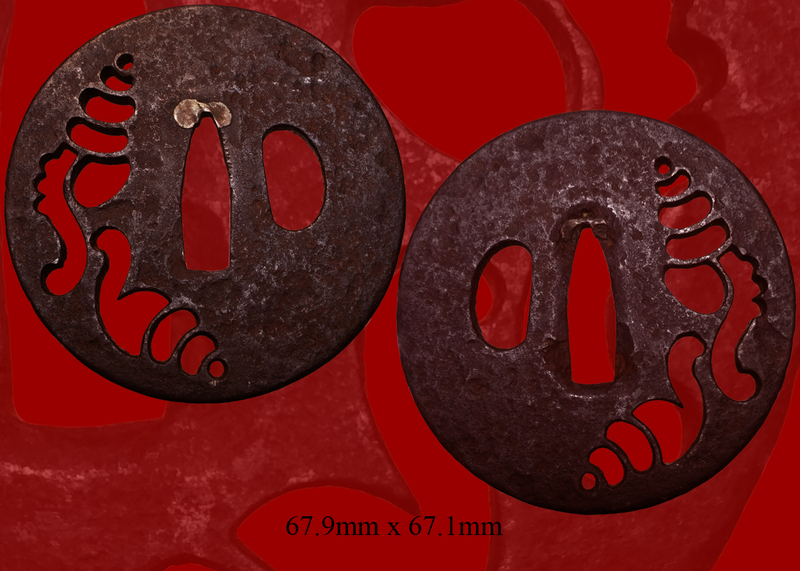 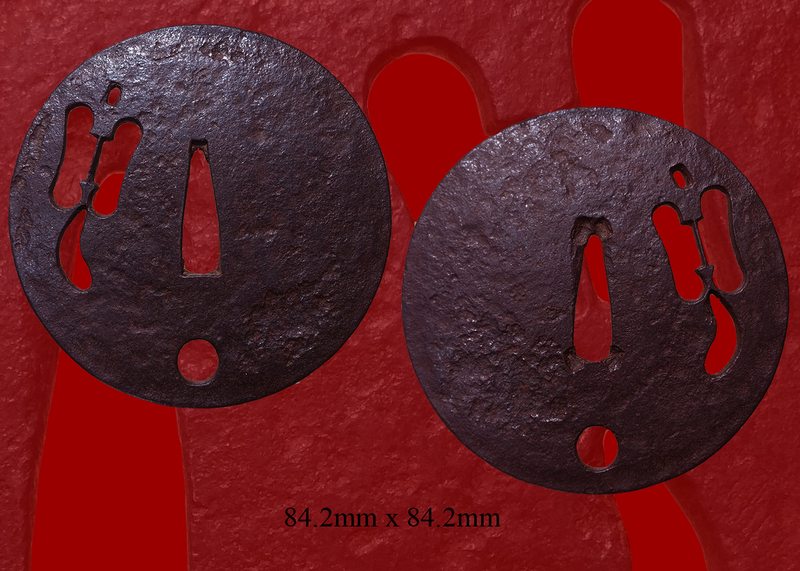 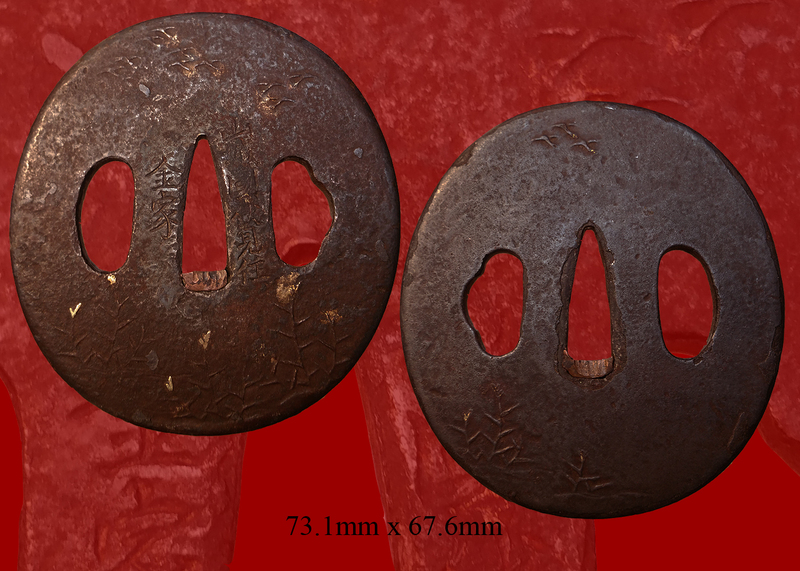 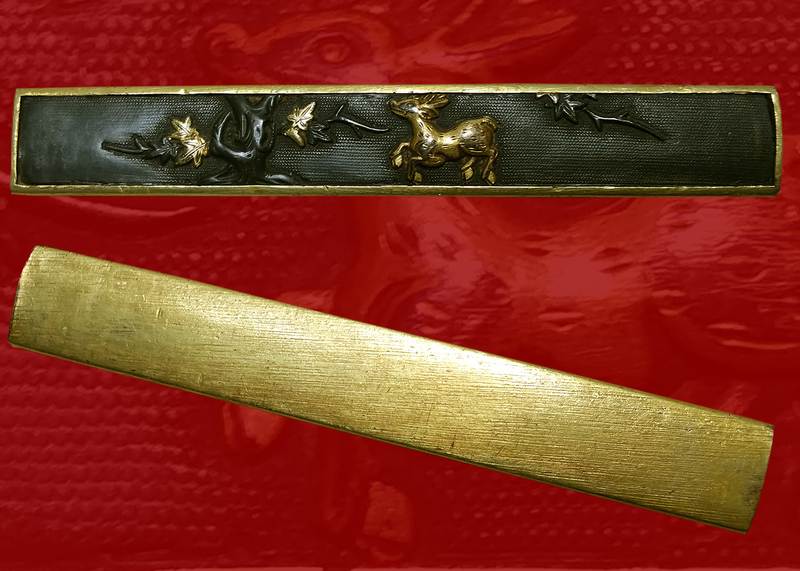 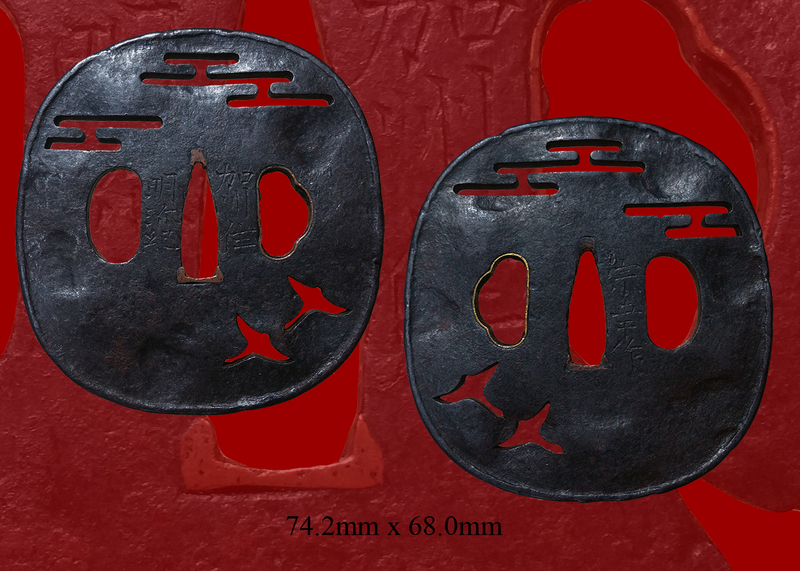 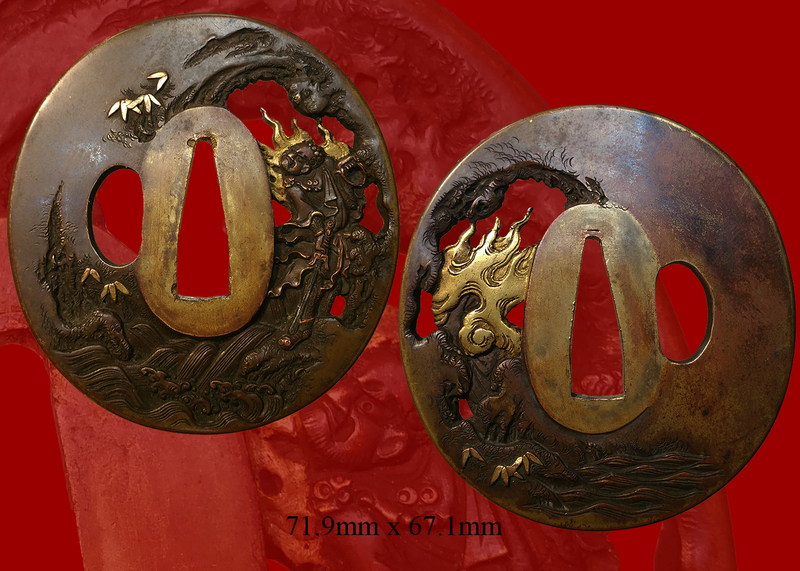 The fittings are of horn with a horse and colt running side by side for menuki. 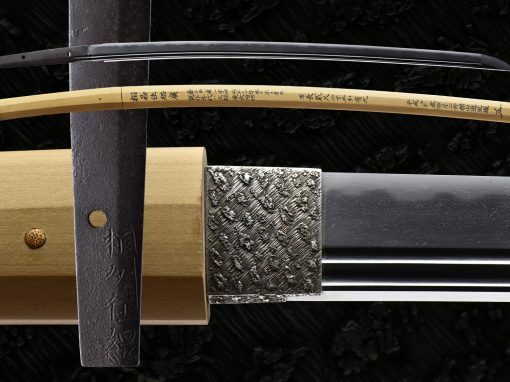 The habaki is gilded.The Sageo is a reddish burgundy color. 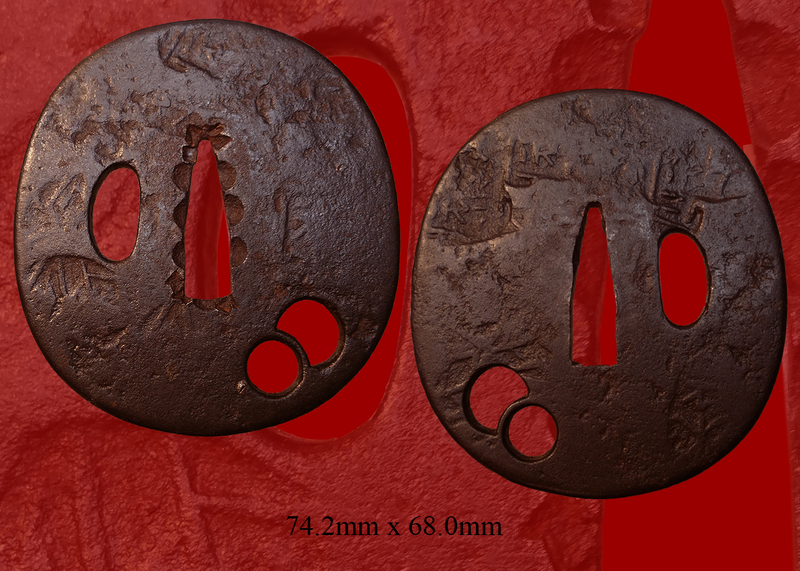 The Yoshii (吉井派)school was active in Yoshii, near Osafune, beginning in the Nanbokuchô period. 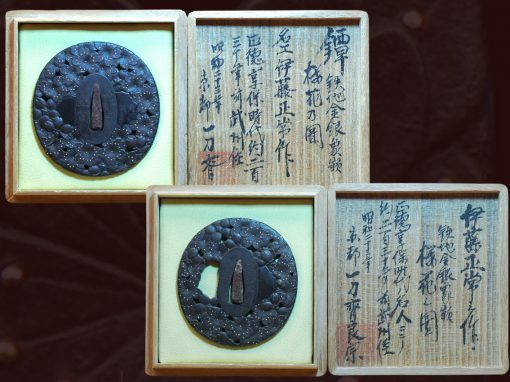 Tamenori (為則) is said to have been the founder, followed by Kagenori (景則), Sanenori (真則), Ujinori (氏則), Yoshinori (吉則), Mitsunori, (光則), Morinori (盛則), Naganori, (永則) , Kanenori (兼則), and others. 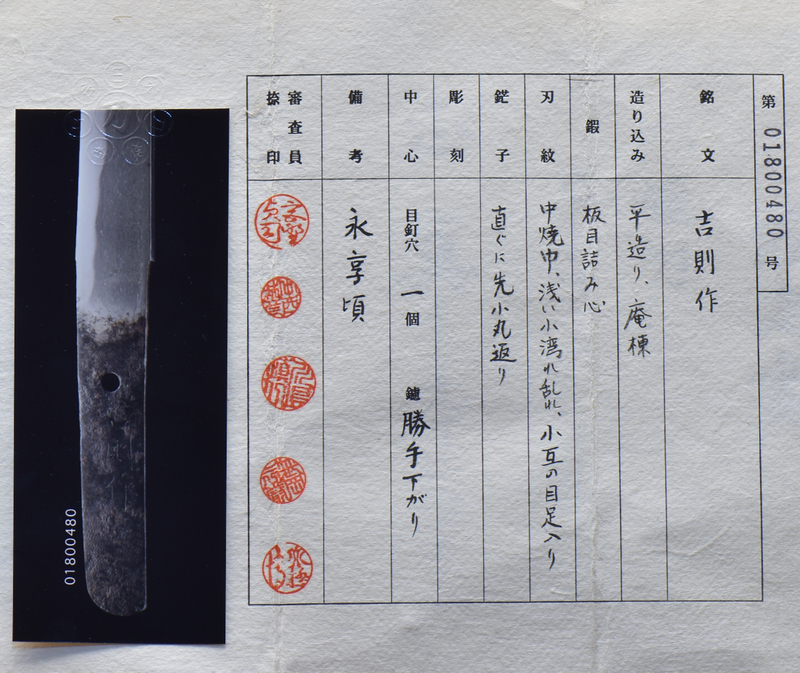 Later generations of smiths used the same names and those who moved to Izumo province are known as the Unshu Yoshii (雲州吉井)smiths. 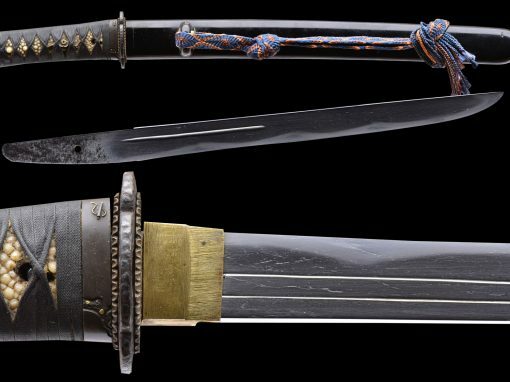 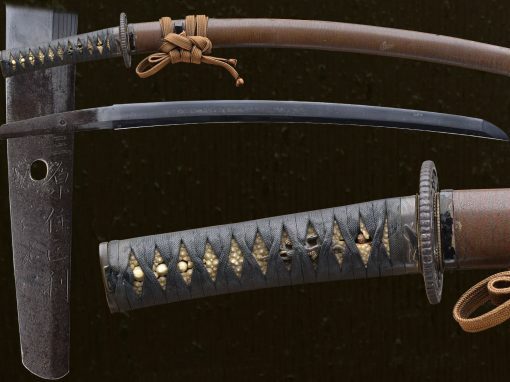 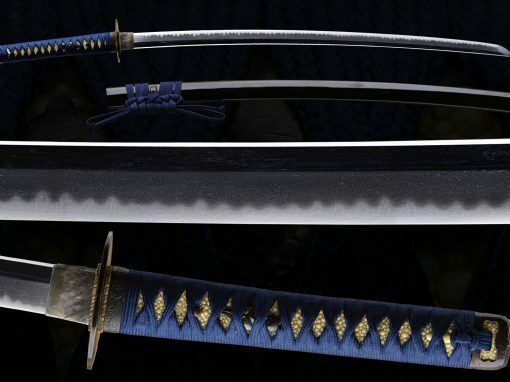 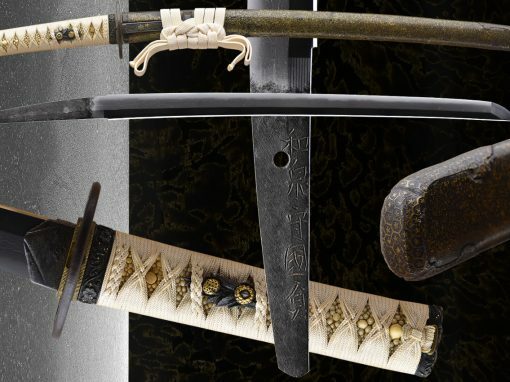 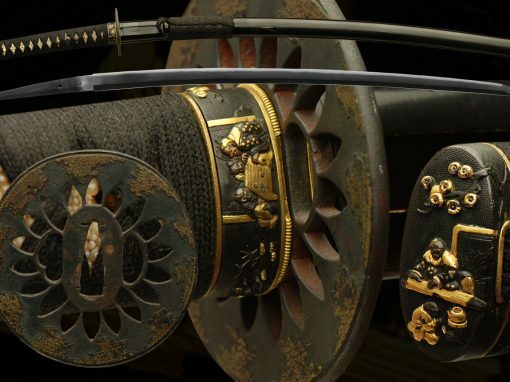 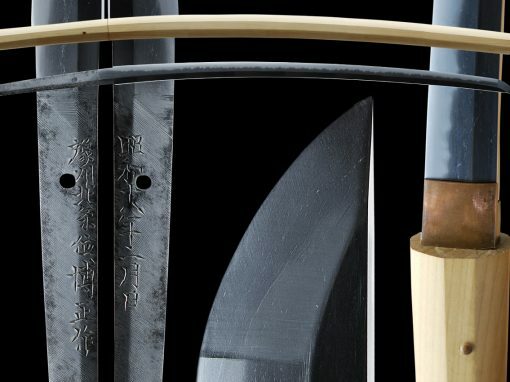 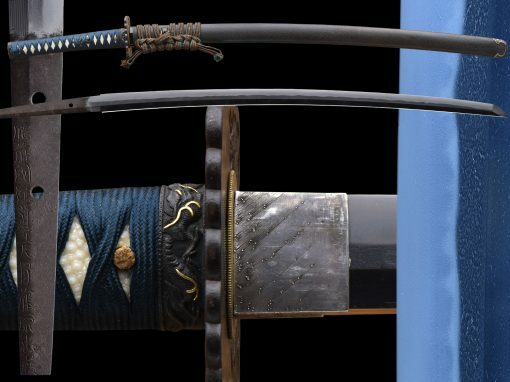 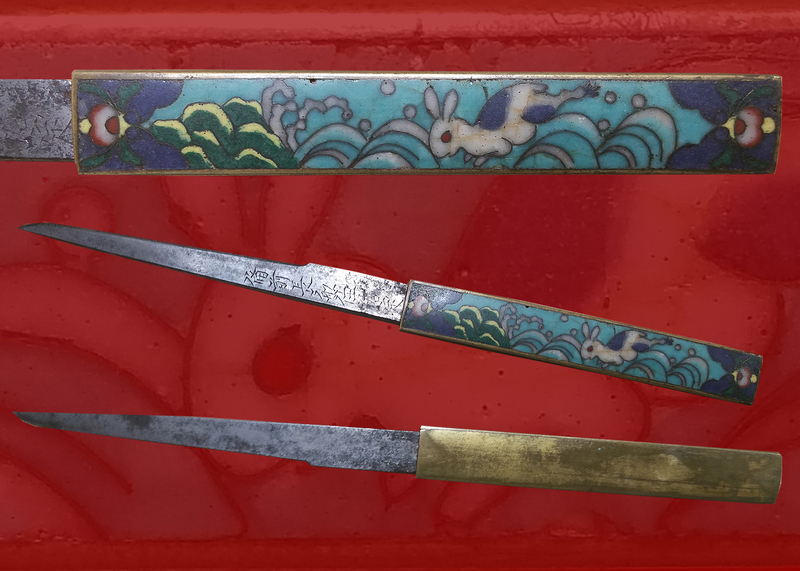 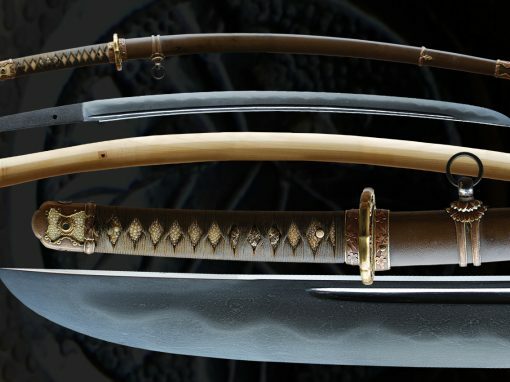 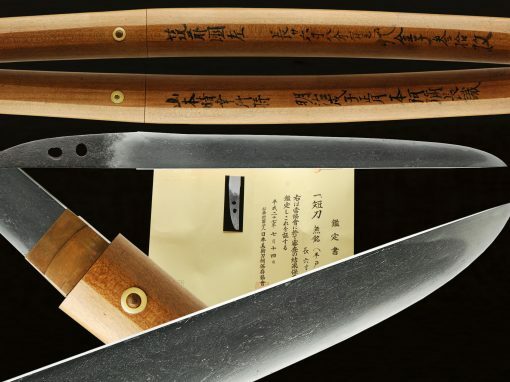 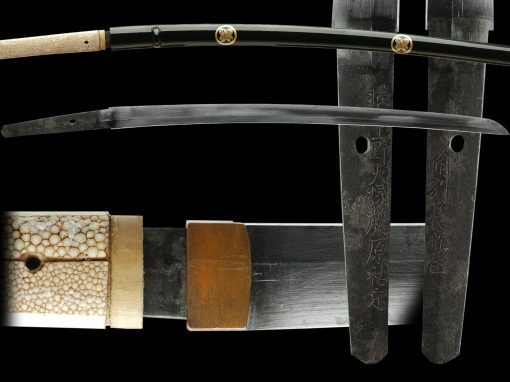 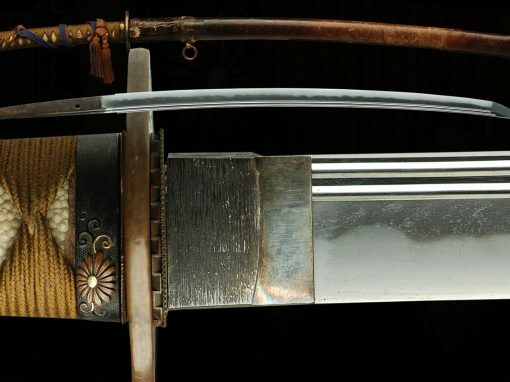 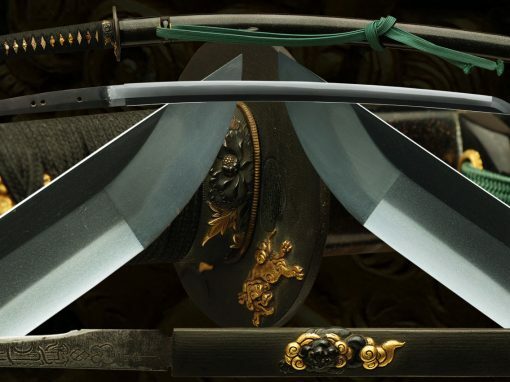 Most of the Yoshii (吉井)blades were produced during the Muromachi era. 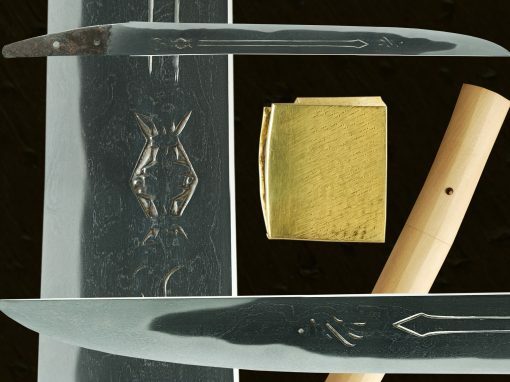 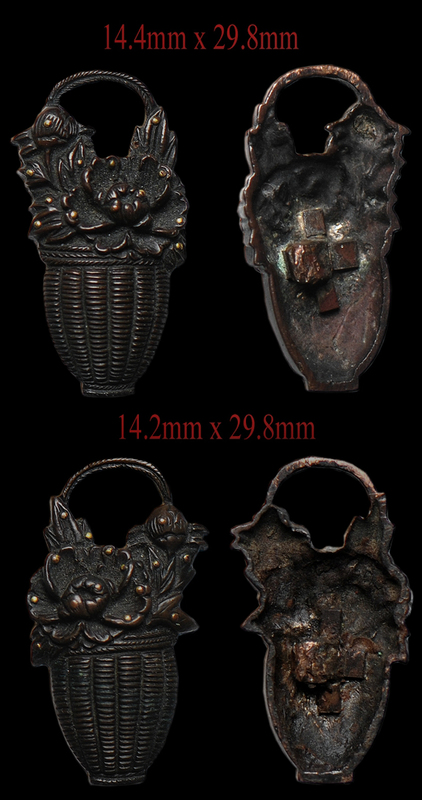 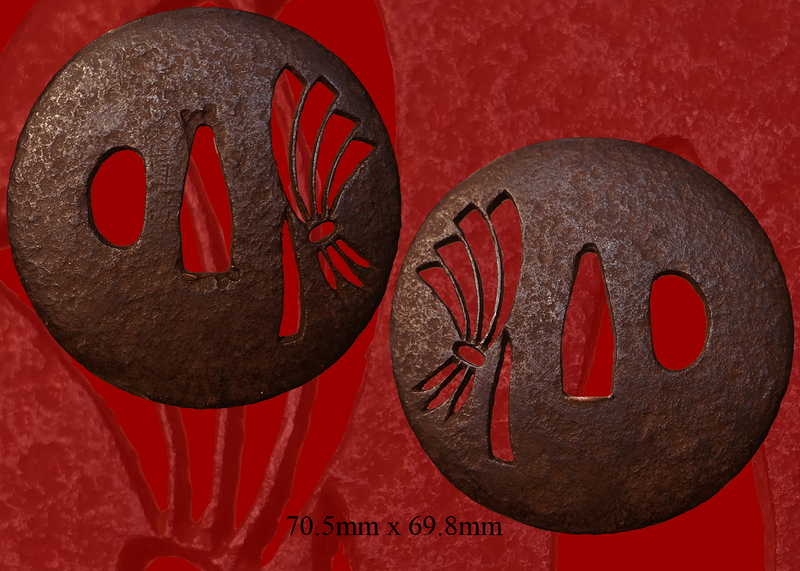 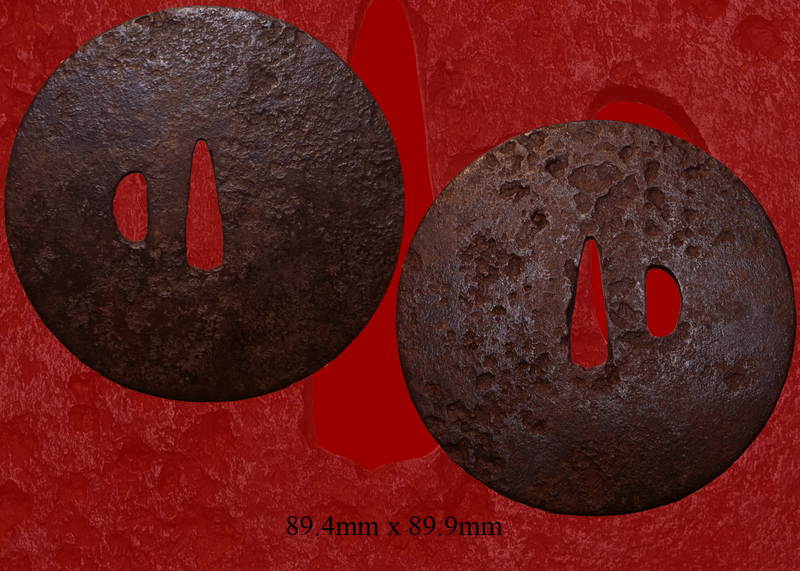 Their workmanship shows its own distinctive traits and is an unorthodox variation of the Bizen tradition.